Teacher can begin lesson by eliciting vocabulary words/phrases, etc. 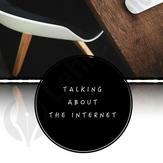 students associate with the words "the internet". Teacher can write student&apos;s ideas on the board for the class. Once all the questions have been answered, teacher can introduce the vocabulary worksheet to students. The aim is to get students to use and consolidate the new vocabulary they&apos;ve learnt. Teacher can elicit various forms of each word and encourage students to write sentences with new vocab for homework. 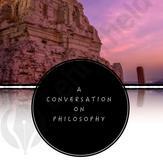 A worksheet intended to prompt students to discuss the subject of philosophy while building vocabulary and overall speaking skills. Teacher can begin lesson by eliciting vocabulary words/phrases, etc. students associate with the word "photography". Teacher can write student&apos;s ideas on the board for the class. Once all the questions have been answered, teacher can create a study worksheet for students based on any new vocab introduced (both by students and teacher). This worksheet can be given the following day in order for students to review all they have learnt. Activities on worksheet can include "fill in the blanks", students can write example sentences with the new vocab, or students can answer one of the questions on the "photography" conversation worksheet in written format to practice their writing skills. A worksheet intended to prompt students to discuss the subject of education while building vocabulary and overall speaking skills. Teacher can begin lesson by eliciting vocabulary words/phrases, etc. 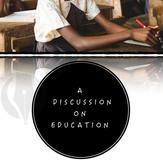 students associate with the words "education". Teacher can write student&apos;s ideas on the board for the class. A worksheet intended to prompt students to discuss the subject of charity while building vocabulary and overall speaking skills. Teacher can begin lesson by eliciting vocabulary words/phrases, etc. 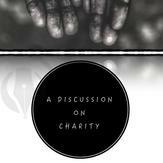 students associate with the word "Charity". Teacher can write student&apos;s ideas on the board for the class. Once all the questions have been answered, teacher can create a study worksheet for students based on any new vocab introduced (both by students and teacher). This worksheet can be given the following day in order for students to review all they have learnt. Activities on worksheet can include "fill in the blanks", students can write example sentences with the new vocab, or students can answer one of the questions on the "charity" conversation worksheet in written format to practice their writing skills. For advanced students: continue with new vocabulary introduced on 3rd and 4th pages. Teacher can review new vocab with students by going around the classroom asking each student to read a word and its definition. Teacher can elicit sentences with the vocab words and ensure students understand their meaning. 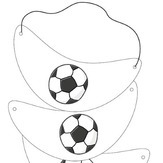 - There are numerous ways to use the file- you are more than welcome to use your imagination! If you have any further questions regarding this file or need advice on how to incorporate this file into your classroom curriculum, please do not hesitate to contact me! A worksheet intended to prompt students to discuss the subject of entrepreneurs and entrepreneurship while building vocabulary and overall speaking skills. Teacher can begin lesson by eliciting vocabulary words/phrases, etc. 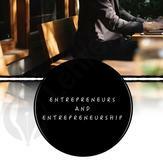 students associate with the words "entrepreneurs and entrepreneurship". Teacher can write student&apos;s ideas on the board for the class. A worksheet intended to prompt students to discuss the subject of quality of life while building vocabulary and overall speaking skills. Teacher can begin lesson by eliciting vocabulary words/phrases, etc. 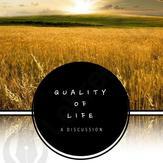 students associate with the words "quality of life". Teacher can write student&apos;s ideas on the board for the class. A worksheet intended to prompt students to discuss the subject of nationalism while building vocabulary and overall speaking skills. Teacher can begin lesson by eliciting vocabulary words/phrases, etc. 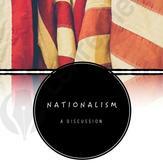 students associate with the words "nationalism". Teacher can write student&apos;s ideas on the board for the class. A worksheet intended to prompt students to discuss the subject of immigration while building vocabulary and overall speaking skills. Teacher can begin lesson by eliciting vocabulary words/phrases, etc. 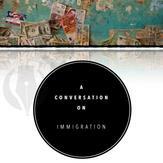 students associate with the word "immigration". Teacher can write student&apos;s ideas on the board for the class. Once all the questions have been answered, teacher can create a study worksheet for students based on any new vocab introduced (both by students and teacher). This worksheet can be given the following day in order for students to review all they have learnt. Activities on worksheet can include "fill in the blanks", students can write example sentences with the new vocab, or students can answer one of the questions on the "immigration" conversation worksheet in written format to practice their writing skills. A worksheet intended to prompt students to discuss the subject of personal questions while building vocabulary and overall speaking skills. Teacher can begin lesson by eliciting vocabulary words/phrases, etc. students associate with the words "personal questions". Teacher can write student&apos;s ideas on the board for the class. Once all the questions have been answered, teacher can create a study worksheet for students based on any new vocab introduced (both by students and teacher). This worksheet can be given the following day in order for students to review all they have learnt. Activities on worksheet can include "fill in the blanks", students can write example sentences with the new vocab, or students can answer one of the questions on the "personal questions" conversation worksheet in written format to practice their writing skills. Finally, teacher can introduce final page with new idioms associated with family. They can be discussed in class and then students should be encouraged to write their own in order to consolidate what they learned.